- A FURNITURE maker from Allithwaite had a unique hand in democracy when he volunteered to help oversee an election in the Horn of Africa. Robin Le Mare of The Square spent two weeks in Somaliland as an international observer, incorporating his experience from 20 years of working for the charity Action Aid. 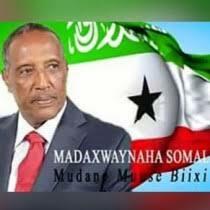 In his former career as a desk officer for Action Aid, his speciality was Somaliland and Ethiopia. He visited Somaliland several times between 1994 and 2006 and said it was a great experience to return to a land and people he knows well. Somaliland declared its independence 20 years ago but is not recognised internationally. In the municipal elections, 2,368 candidates contested 379 positions across the country’s six regions. For his part, Mr Le Mare travelled to the town of Boroma where his team would observe voting at four polling stations.